For the first couple of days in India, I have mostly been inside the college perimeter. 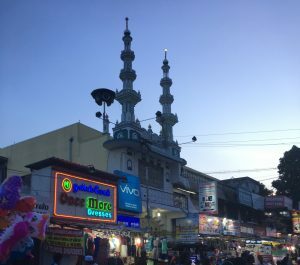 The group has made a few excursions into Tambaram and spent a day in Chennai. Surrounded by foliage, life at Madras Christian College has been quiet and calm, a stark contrast to Chennai. The chaos completely captures you; there is something to be seen in every direction. 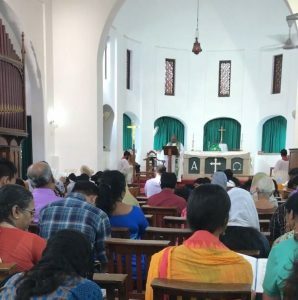 I am fascinated by the religious diversity that I’ve seen so far, especially since I live in a predominantly Christian area back home. 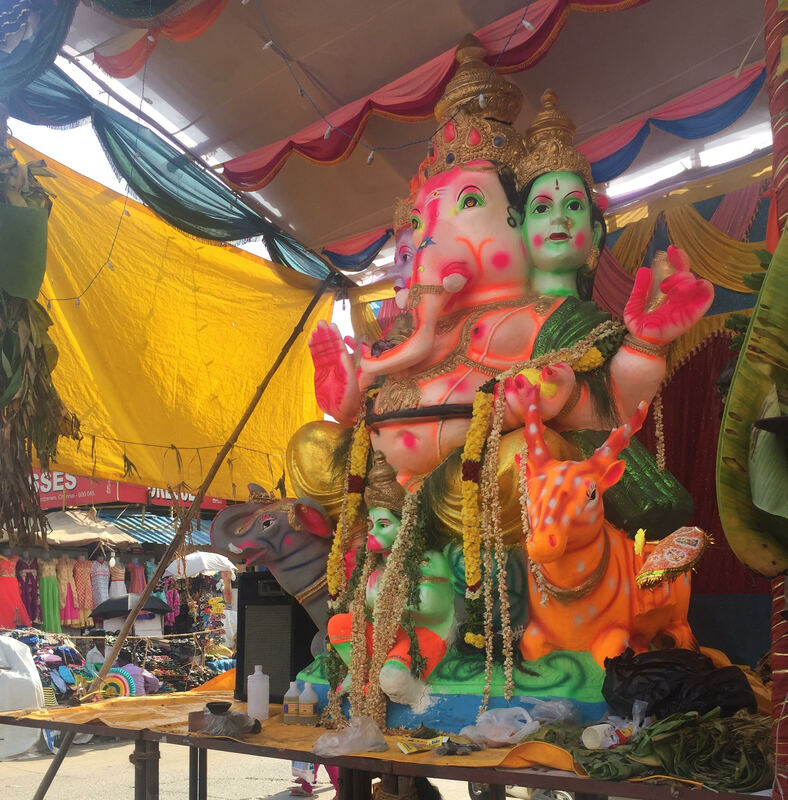 The Ganesha shrines, mosques, and churches all function in close proximity to each other, which is a completely new sight for me. Besides the intermingling of religions, my initial thought while observing these two areas was that it reminded me a lot of Egypt in terms of outwardly appearances. The stray animals in the midst of traffic, no use of road lanes, the abundance of autorickshaws, the multi-storey cement buildings and even the smell brings me back to Cairo. When traveling, people often understand the unknown through the lens of what they’re familiar with. For me, this is Cairo, the city where my father grew up. But I think I find these similarities because both cities share the same issues that result from highly populated cities. One of the many Ganesha shrines that we have seen on our trip. This photo was taken by Kassidy Hadley. 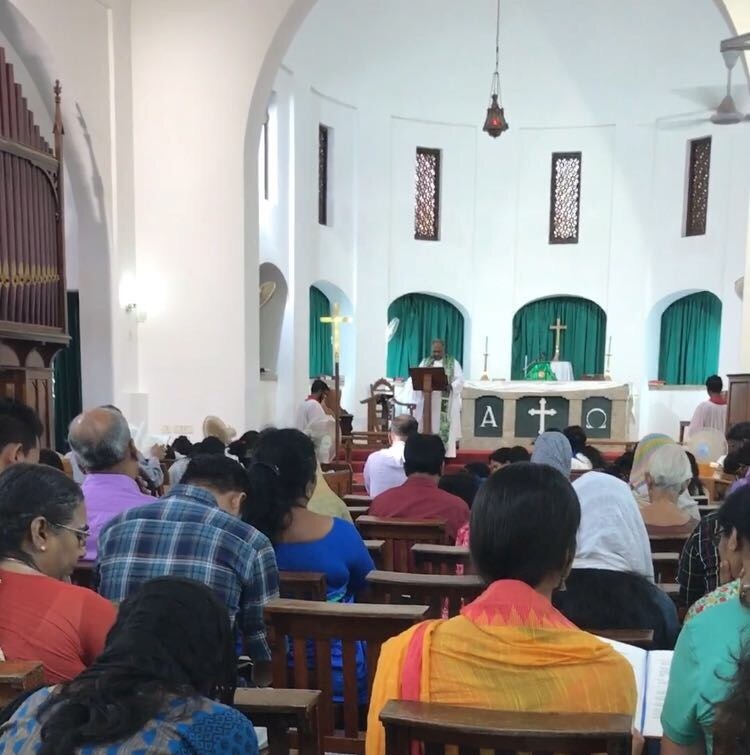 The church service we attended at Madras Christian College. This photo was taken by Sophia Pessagno. The mosque at the shopping district in west Tambaram. This photo was taken by Sophia Pessagno. I noticed that each mode of transportation complements the other; all helping the city to cope with its massive population. The train works better for traveling longer distances while the autorickshaws are more fitting for shorter destinations. And, the motorcycles weave through all the cars. Riding in the train was a completely new experience for me. Around 6 o’clock in the afternoon, the girls in the group hopped onto the female compartment of the train. It was cheek to cheek. Shoulder to shoulder. I had never seen so many people compacted in such a small space. Each time the train stopped on the way home, more people managed to squeeze in, and the bodies kept getting closer, restricting movement. This tightness in space is reflective of the global population problem that India too struggles with. Rush hour on the train. This photo was taken by Sophia Pessagno. 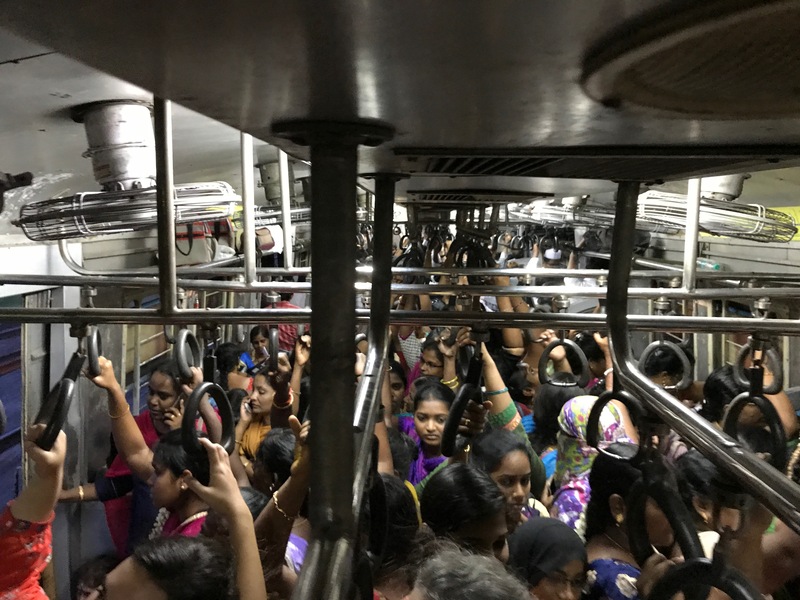 In one of our lectures, Dr. Venkatachalam, an environmental economist at Madras Institute of Development Studies, gave a shocking statistic about Chennai’s rapid population growth. In just one year from 2016 to 2017, the city’s population grew from 8.2 million people to 8.5 million people. While explaining the causes of migration, Dr. Venkatachalam discusses the term “environmental refugees.” Environmental refugees have no other option but to leave their homes due to natural disasters, such as monsoons, or anthropogenic causes. Recently, the Indian government has been a major factor in the decline of farmers and the production of these refugees. Due to the increasing water demand in Chennai, the government is taking water from the irrigation tanks in rural areas, leaving farmers dry. Because of economic reasons, people migrate into the cities to find more job opportunities. I saw several people jumping on and off the train selling various items, and I wonder if they are such refugees. The train acts as a source of income for some people, an option not available for those living in rural areas. But, how does Chennai house all of these people? 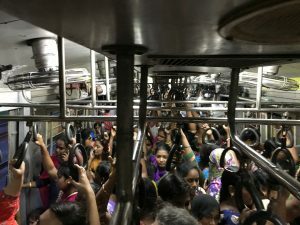 According to an article in The Hindu, written by Aloysius Xavier Lopez, Chennai has failed to keep up to speed with its increasing population, as infrastructure has lagged. There needs to be intentional planning in order to properly accommodate this mass migration. However, roads and buildings are being placed without much consideration for the future. I am interested to learn more about how Indian cities are dealing with this migration, and what actions are being taken to protect those still living in rural areas, such as farmers. One solution of how India could economically advance rural areas is through herbal medicine. With proper harvesting, research and documentation of herbal plants, this could give rural people an opportunity to contribute their knowledge of natural remedies. Creating long-term jobs in rural areas could potentially slow this migration into the cities. This is only one of the many possible solutions that the government needs to address.